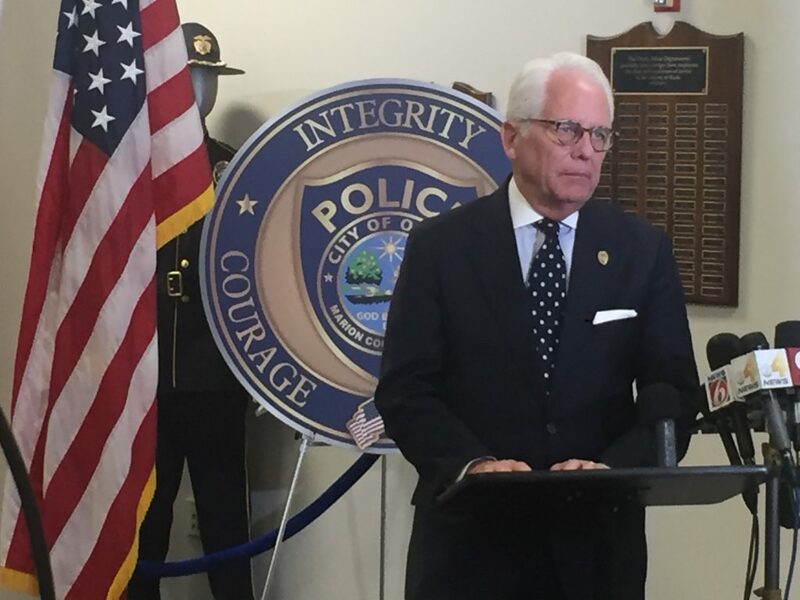 In Ocala's Police Headquarters, Mayor Kent Guinn discusses a new initiative to combat the local opioid epidemic. This program would offer amnesty and treatment to addicts. 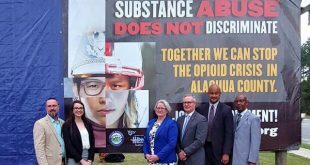 The Ocala Police Department announced an amnesty program for people addicted to opioids in an effort to limit drug overdoses and drug-related deaths in Ocala. 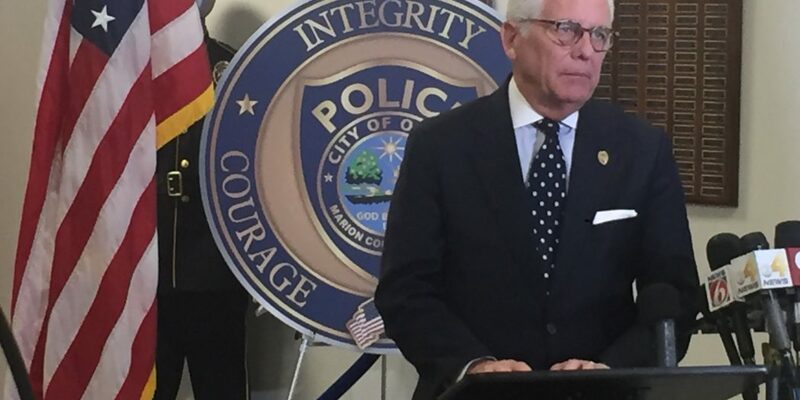 The Heroin/Opioid Amnesty program, announced Tuesday, was created under the Heroin/Opioid Task Force established by Ocala Mayor Kent Guinn last May in response to 70 deaths linked to opioids in 2016. In 2017 alone, 78 people overdosed, and 16 people died, with the average age of overdose victims being 38. Since the start of 2018, the city has responded to 22 overdoses, seven of which were fatal. 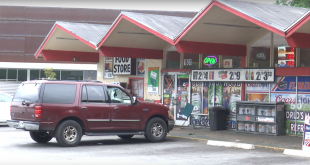 Guinn said that under the program anyone seeking assistance from police will not be arrested as long as they surrender any illegal substances. 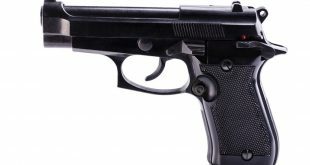 Also, they will not be added to any criminal activity lists within the police department, said Greg Graham, Ocala police chief. People addicted to opioids can reach out for amnesty in three ways: by walking into the police department, by calling the department or by seeking help from any police officer. Those who need assistance will be transported to one of two local rehab facilities, Perspectives and New Directions of Central Florida, 818 E Silver Springs Blvd., or The Centers, 5664 SW 60th Ave., to receive treatment. Both facilities offer scholarships and work with clients who do not have insurance to guarantee treatment, Graham said. 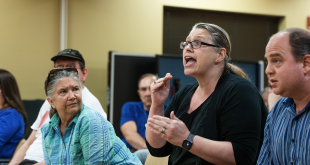 “We will move mountains to make sure that they are getting the treatment they deserve,” said Kristina Donohue, director for mission advancement at The Centers. In addition to the amnesty program, police are working to stop opioid overdoses by carrying Narcan, an overdose reversal emergency treatment, and by handling overdose deaths like homicides. This year officers have saved four people with Narcan and have made 95 arrests for the sale and trafficking of opioids, Graham said. Despite the arrests, Graham said, the opioid crisis is not a law enforcement problem, but rather a community one.